As an environmental management consultant, I help companies become more efficient, reduce risk & win new business. Which sounds rather familiar – just like gdb, we are all about Supporting – Growing – Engaging. I can’t believe I’m already one year into my tenure as gdb Chairman. As I reported to the AGM, it’s been a rollercoaster of year for me – all about strategy, budgets, promoting gdb & leadership. We have a new & expanding team, taking on new roles and working practices, tracking progress & celebrating success. 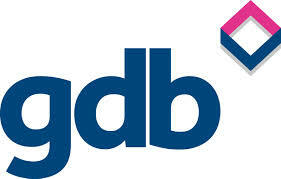 Our new Ambassadors help to promote gdb and welcome the ‘newbies & pinkies’. A referral scheme helps to make use of the ‘Good People Who Know Good People’. We’ve seen growth – membership is up 17%, we ran 80+ events with 4,000 attendees & continue to make the connections. We are the voice of the local business community, an influencer with local, regional and national partners. We’ve also looked at how the Executive operates, with a good exchange of information & we’re planning a team-building day later in the year. What about the coming year? There is more to come. We have set challenging targets for membership growth, covering a mix of business sizes. We are aiming for 100 events, including high profile activities like delivering the Gatwick Diamond Meet the Buyers programme, our speakers conference & the gdb Awards, which celebrates its 10th anniversary. We’ll continue to provide networking opportunities & circulate information on regional economic issues. In addition, we’d like to see more member-led activities and peer-to-peer learning. As you can see, gdb is all about Supporting – Growing – Engaging. We help you say hello. And you know the saying….. A simple hello could lead to a million things!